Two ingredient cookie!! How easy is that? I didn’t measure my Nutella and I think I got it a little thick in spots, but all I can say is “Yum”. Roll sugar cookie dough into a 11 by 8-inch rectangle between 2 sheets of parchment paper. 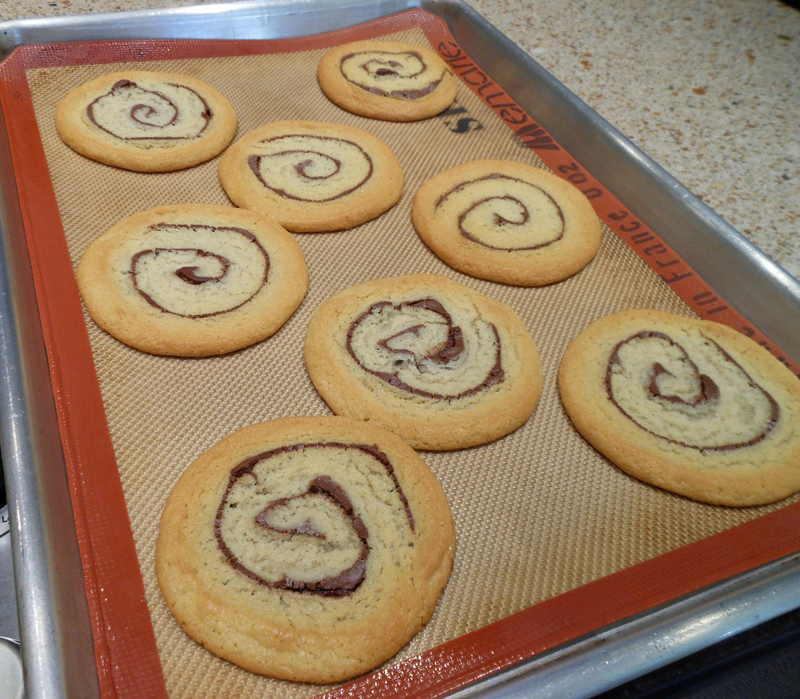 Remove top parchment and spread with Nutella, leaving 1/4-inch border at edges. Working from short side, roll dough tightly into a log and pinch seam; wrap in plastic wrap and freeze for 20 minutes. Slice into 1/2-inch-thick cookies. Place cookies 1 inch apart on parchment-lined baking sheets. Bake in 350 degree oven until lightly golden, about 12 minutes. Yum…can’t wait to try these.